Federal health regulators plan to warn consumers more strongly about Essure, a contraceptive implant that has drawn thousands of complaints from women reporting chronic pain, bleeding and other health problems. The Food and Drug Administration announced Monday it would add a boxed warning -- its most serious type -- to alert doctors and patients to problems reported with the nickel-titanium implant. But the FDA stopped short of removing the device from the market, a step favored by many women who have petitioned the agency in the last year. Instead, the agency is requiring manufacturer Bayer to conduct studies of the device to further assess its risks in different groups of women. "More rigorous research is needed to better understand if certain women are at heightened risk of complications," said Dr. William Maisel, chief scientist for the FDA's device center. The agency said in a statement that Essure is an "appropriate option for the majority of women," but that "some women may be at risk for serious complications," especially if the device shifts out of position and punctures the uterus or other organs. Essure has been sold for more than a decade and is frequently pitched to women as the only non-surgical option for permanent birth control. It consists of two nickel-titanium coils inserted into the fallopian tubes, where they spur growth of scar tissue and block sperm from fertilizing a woman's eggs. Bayer estimates 750,000 women have received the device since 2002. But the FDA has received thousands of reports of problems with the device from women and doctors. While the product's existing label warns about pelvic pain and bleeding immediately after the procedure, many women said these problems persisted and were so severe they required surgery to remove the device. The FDA is requiring Bayer to conduct a study of 2,000 patients comparing problems like unplanned pregnancy and pelvic pain between patients getting Essure and those receiving traditional "tube tying" surgery. Agency officials said they have reviewed more than 600 reports of women becoming pregnant after receiving Essure. Women are supposed to get a test after three months to make sure Essure is working appropriately, but the agency noted some women do not follow-up for the test. FDA officials acknowledged the proposed study would take years to complete, but said Bayer would be expected to submit interim results by mid-2017. The proposed warning label will also take time. The FDA is seeking public input for 60 days on the language for the warning and another proposed "check-list" that doctors would use to make sure patients understand the device's risks. "We strongly support a black box warning, but it needs to be a very strong one," said Diana Zuckerman of the National Center for Health Research. In September, dozens of women urged the agency to recall the device at a public meeting on problems reported with Essure. In recent months they have been joined by members of Congress, including Rep. Rosa DeLauro, D- Connecticut, who said in a statement she would monitor the FDA's follow-up on Essure. "The FDA cannot continue to drag its feet on medical device safety when women are suffering," DeLauro said in a statement after the FDA's plan was announced. CBS Denver talked with more than a half-dozen Colorado women who said they've suffered problems from Essure. "We're finally being heard. It's been a long battle... years of trying to be heard," Debra Logan told the station in September, at the time of the hearing. Essure's warning label previously noted that the device's nickel can result in allergic reactions, such as itching and hives. But many women have attributed more severe problems to the implant, including mood disorders, weight gain, hair loss and irregular bleeding. Many of those complaints have been shared through social media, including a Facebook page called Essure Problems, which has grown to over 27,000 members. Consumer advocate Erin Brockovich, of movie fame, has launched a website for women who have used Essure and have experienced problems -- a place "for them to share their stories and concerns about Essure," she writes on the site. It also links to a petition to remove the product from the market. But Essure's manufacturer stands by the product. Essure is an important permanent birth control option with a positive benefit-risk profile, Bayer said in a statement. 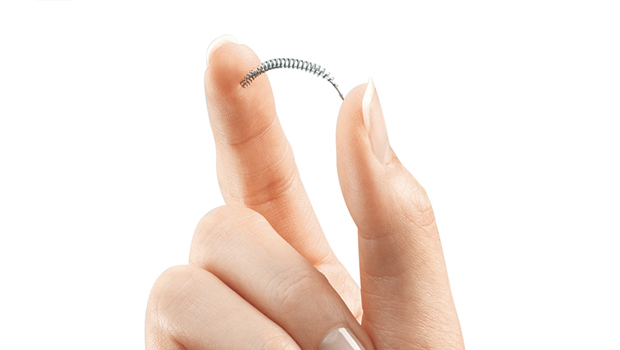 "Patient safety and appropriate use of Essure are our greatest priorities," said Dr. Dario Mirski, senior vice president and head of medical affairs Americas at Bayer. "A woman's decision to choose a birth control method is a very important and personal one, and Bayer is committed to providing physicians with resources, tools and information to help them counsel women about Essure." The German-based conglomerate said it would continue to work closely with the FDA.